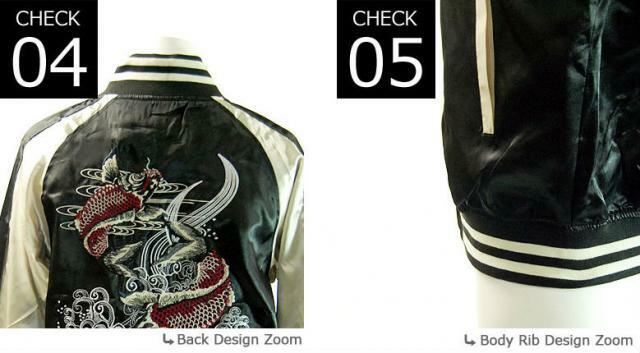 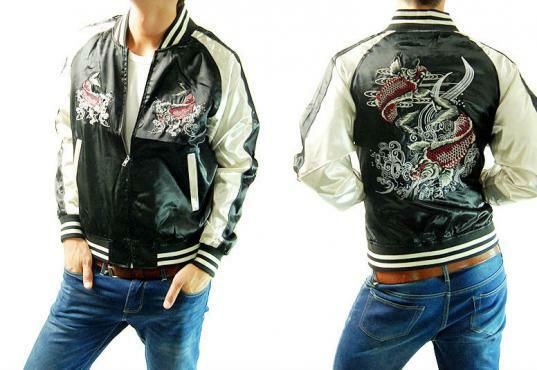 The back of this lightweight satin jacket features a striking design of two surging koi, or carp, a symbol of long life and vitality. 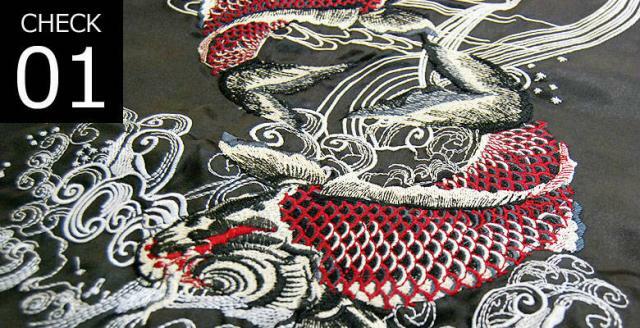 The image is reproduced on the front chest panels. 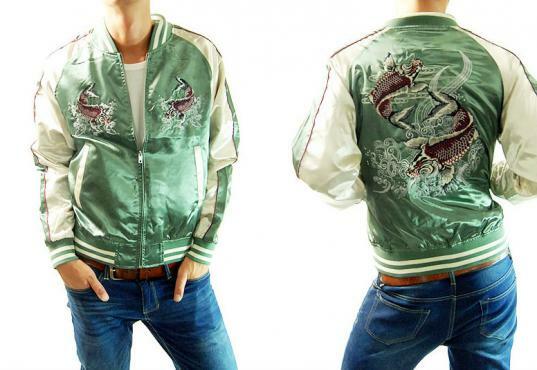 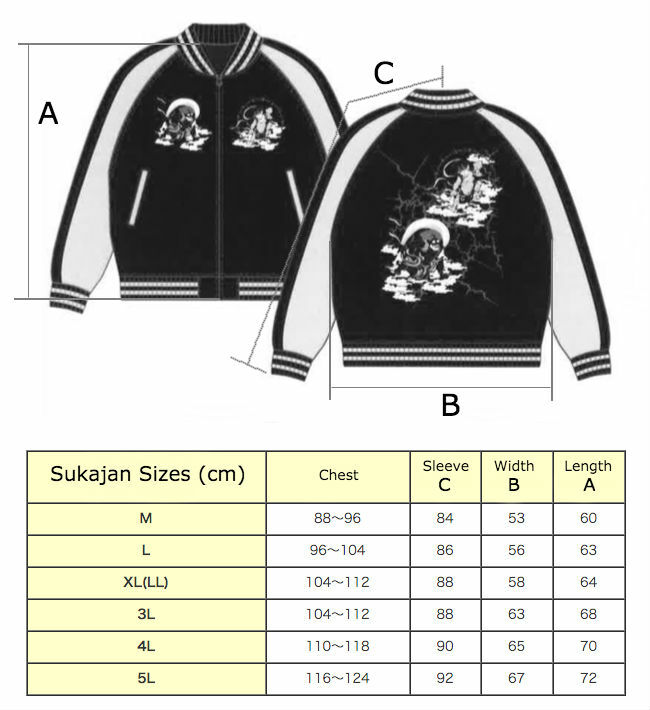 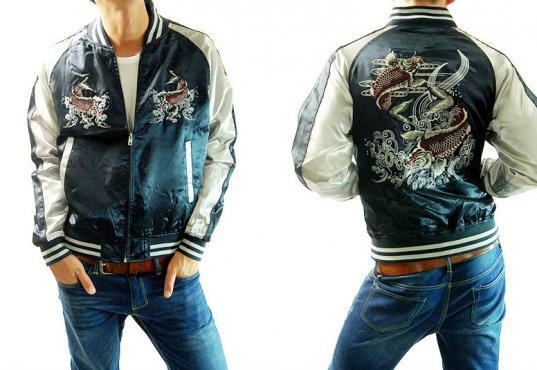 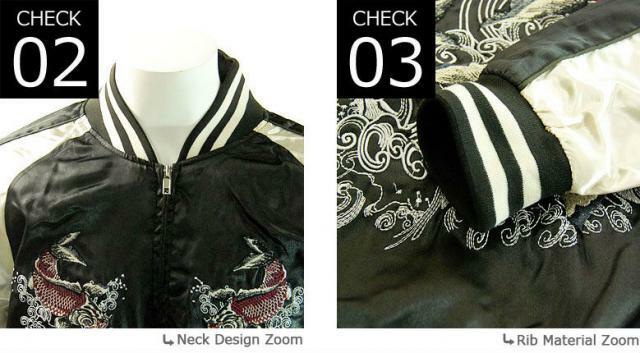 These sukajan jackets beautifully combine the basic style of the American standard Letterman jackets with quintessentially Japanese motifs such as the dragon, the eagle and the koi.